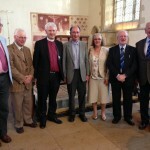 The Bishop of Dorchester founded the Fellowship in 2009. 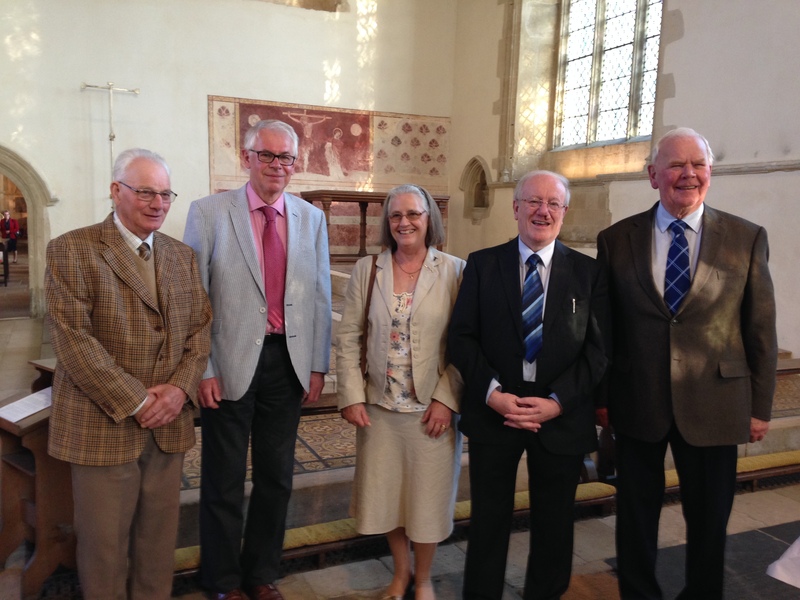 It was founded as a modest way in which they could honour the people who have given exceptional service in some way or other to their church and community over a number of years. 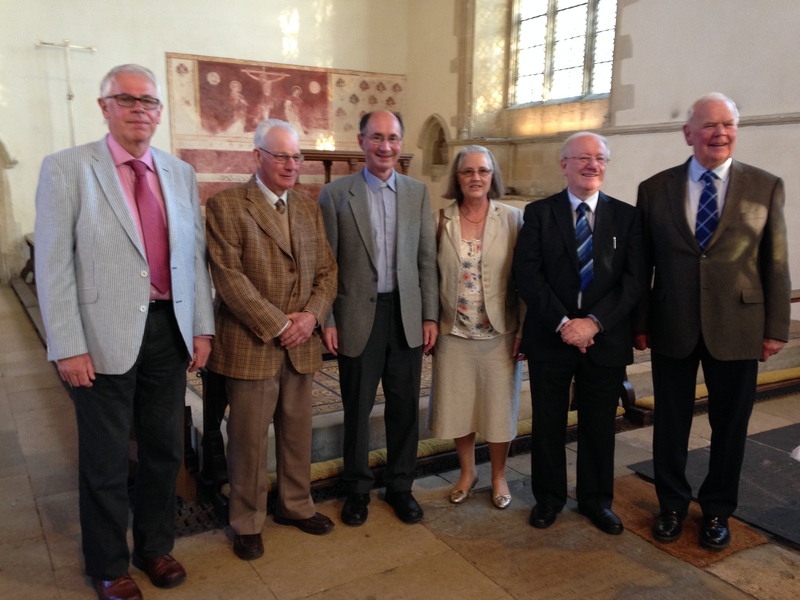 On 27th September 2015, Roger Barnes, Paul Herrington, Peter Nichols, Meg Roberts, and Edmund Strainge were inducted at a ceremony at Dorchester Abbey. Congratulations to them all. 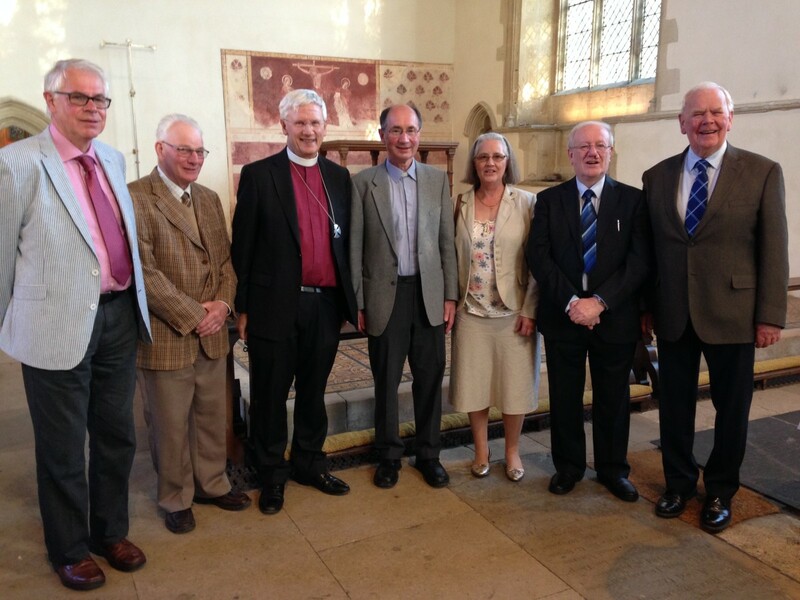 The new inductees with Bishop Colin and Rev'd Bob Edy who proposed them .